Castletown Castle is located on the Bunclody road about 5km to the south east of Carlow town Ireland. During the 1780’s Thomas ‘Buck’ Whaley an MP in the Irish Parliament and a gambler was the owner of the castle. The castle, which has been extended and upgraded down the centuries, incorporates the fabric of a tower house dating from 1550. Today it is the home of the Monahan family but has been owned at various times by Kavanaghs, Bagenals and the Earl of Kildare. 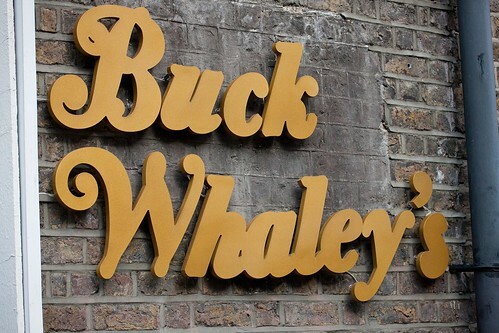 Thomas ‘Buck’ Whaley was born 86 St Stephen’s Green, Dublin on December 15th 1766. 86 St Stephen’s Green became Newman House in 1854 when The Catholic University of Ireland was established there. The Catholic University of Ireland was the precursor of University College Dublin. Whaley was educated in Dublin until the age of sixteen. He was then sent to Paris to continue his education. He became involved in gambling and built up large debts. He returned to Ireland and in 1784 was elected to serve in the Irish House of Commons for Newcastle Co Dublin. In 1788 Whaley, who was a member of the Hellfire Club, made a wager for £15,000 that he would travel to Jerusalem, play handball against its walls and return in less than a year. He succeeded in the venture, leaving Dublin in October 1788 and returning in summer 1789. As a result he was sometimes referred to as Jerusalem Whaley. Whaley continued to gamble. In the early 1790’s, having sold most of his estate to pay off his debts, he moved to the Isle of Man. He wrote his memoirs but these were not published until 1906. He returned to Ireland in 1798 and was elected MP for Enniscorthy. During the debates on the Act of Union he is reported to have offered his vote to the highest bidder. Thomas ‘Buck’ Whaley, gambler, politician and onetime owner of Castletown Castle in Carlow, died in England aged 34 in the year 1800 On This Day. George Charles Bingham, who lived from 1800 to 1888, was the 3rd Earl of Lucan. He was also known as Lord Lucan of Castlebar, Co Mayo, Ireland. He was one of the most dreaded landlords in Ireland. Lord Lucan was also a British Army Officer who ordered the infamous Charge of the Light Brigade at the Battle of Balaclava in 1854 during the Crimean War. George Charles Bingham was born in London, England in 1800. He was a descendant of Patrick Sarsfield who led the Flight of the Wild Geese from Ireland following the signing of the Treaty of Limerick in 1691. Sarsfield was the 1st Earl of Lucan. The 3rd Earl of Lucan was educated in England and joined the British Army at the age of 16. Lucan retired from the army in 1837. He moved to Mayo to manage the family estates which extended to over 60,000 acres. In the late 1840’s during the Great Famine in Ireland he carried out wholesale evictions of his tenants. His activities led to him becoming known in Mayo as ‘the exterminator’. 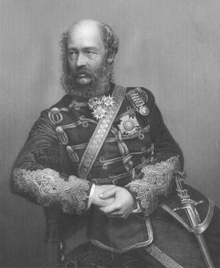 Lucan was given command of a cavalry division at the outbreak of the Crimean War in 1854. His actions during the Battle of Balaclava led to him being recalled to London. Though he remained in the army he had no further active military commands. He died in London on November 10th 1888. George Charles Bingham, the 3rd Earl of Lucan, who was also known as Lord Lucan of Castlebar, Co Mayo, Ireland was born in the year 1800 On This Day. In 1169, at the invitation of Diarmait Mac Murchada (Diarmuid MacMorrough), the Normans invaded Ireland to help MacMorrough regain his position as King of Leinster. The Holy See of Rome abolished the High Kingship of Ireland in 1171 and brought Ireland under the temporal power of the English monarch. The English monarch had to pay an annual tribute to the papacy which was levied on Ireland. In 1542 the Irish Parliament passed the Crown of Ireland Act proclaiming Henry VIII, King of Ireland. The act, which was read out in Parliament in both English and Irish brought about the combination of the two states under the same monarch. However the boundaries, laws and interests remained distinct. This arrangement remained in place until January 1st 1801. From that date Irish members of parliament were elected to the British House of Commons where Ireland was allocated 100 seats. 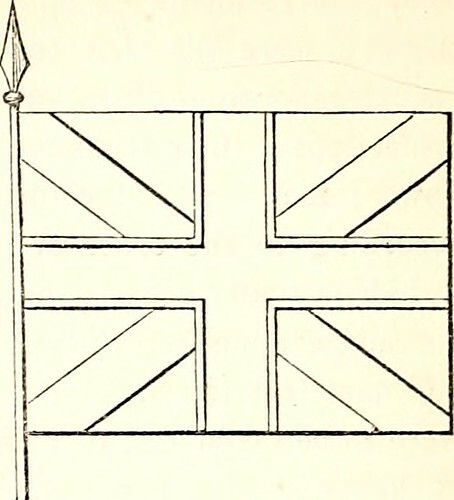 The Union with Ireland Act 1800 was passed by the British House of Commons in the year 1800 On This Day.